Well, winter is here again and one of the long wheel base 2005 Mercedes Sprinters had been running cool in the cabin heater department for some weeks, it had now got to the point the driver was complaining about the cold so we were compelled to take a look. The first port of call was to change the engine coolant thermostat, as it was running cool on the gauge, so needed that job doing anyway. Needless to say in doing so, there was no improvement to the cabin temperature and further investigation was needed. Both the supply and return pipes to the heater matrix under the bulkhead, engine side, were very warm – so hot water was obviously making it to the cabin heater. This particular van had the diesel-fired coolant ‘pre-heater’ removed (ESPAR) from the front left inner wing and all the steel pipe bypassed, as it had started to rot and leak in several places. This is quite common on older Sprinters and this steel rigid pipework runs mostly out of sight behind the bodywork, up above the heater blower housing. This makes it near impossible to detect any leaks, let alone repair it, so it had been bypassed some time back as a repair measure. The next stage is to remove the top dash section that houses the radio binnacle, this is held with fixings behind the speaker grilles left and right, along with various other fixing screws following the front edge of the dash lip. 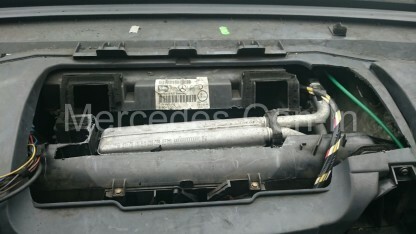 You will need to remove the speedo front trim and the back cover – the instruments need not be removed. Once this is removed you can now see the top of the heater box and in a small open void to the right, the aluminium supply and return pipes routed to the heater matrix. Extending a finger to touch the supply and return proved that both were scorching hot, indicating the heater valve was open and water was at least circulating this far. Extending a finger inside the square fresh air ducts and hooking it back to the cabin, you will find a small section of plastic housing missing. This enables you to actually touch the heater matrix element – on the left and right sides these were cold! – even though the flow and return pipes were boiling hot. This indicated that coolant flow through the heater matrix was restricted and in effect the water was just flowing in and straight out without causing any part of the radiator section to warm, thus no cabin heat. Its worth noting that if you have the fan off, the matrix will eventually warm through but with the fan running, as soon as air begins to flow across the matrix it rapidly chills it to an almost non-existent heat. No warn water conduction. So we need to change the heater matrix. What a huge job. 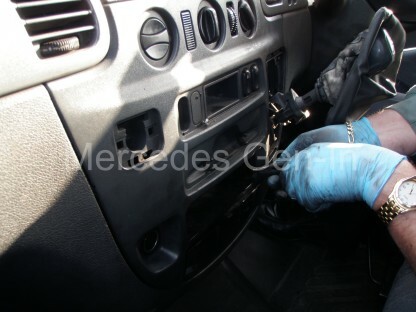 The complete dashboard has to be removed, including steering column to gain access to the heater box. The heater box itself then has to be split into two halves to replace the heater matrix inside. That can take anywhere between 8 to 10 hours to complete, we did not have the time available and the van was due out in a short number of hours. The tools you will require are a battery drill, 1/8 inch drill bit, sturdy flat blade screwdriver, hacksaw blade, 6mm 1/4 drive socket and ratchet, aluminium strip, pop rivets (or self tapping screws) and silicone sealant. Drill a small row of holes in the top of the plastic heater box to enable you to insert a hacksaw blade and cut along where the yellow lines are indicated on the image below. Take care when drilling and sawing to only cut the plastic box and nothing beneath. You will be fairly safe if you cut only where the yellow lines indicate. Once you have cut along the top of the box, use a broad screwdriver to remove the cut section, you may have to lever and snap away a small section of plastic that remains from either side of the top section so that it can be lifted away. It should now look like this. Now you will need to cut a small section from the right of the grey dash under-layer to gain full access to the three 6mm pins that hold the compression plate connecting the heater matrix pipe spigots to the valve body, this is clamped against captive nuts in the plastic water valve flange assembly. The extra access section on the right you will need to cut away can be seen by comparing the two photographs above. Once the three 6mm pins and plate are removed drain down some coolant from the system, the easiest way to achieve this is to simply remove the thermostat bypass hose. This joins the thermostat housing to the coolant expansion bottle, once this has drained down carefully pull the matrix pipes out from the valve block (there is just enough clearance). There is a swaged end and rubber O ring on each pipe, make sure you do not damage them. While holding the pipes pulled free from the valve block, pull the heater matrix up and out of the heater box. 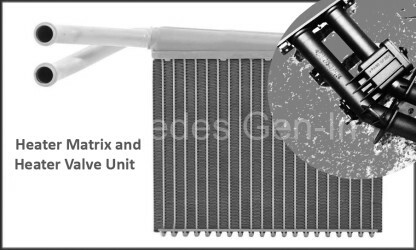 Either replace the heater matrix with a new/replacement unit or back flush the original unit upside down, tapping it to loosen the collected scale and rust that finds its way into the matrix tubes. Most of the rust and debris I am sure, came from the decomposition of the steel circulation pipes mentioned earlier. It is worth mentioning that to simply flush the matrix from under the bonnet/hood in situ would achieve very little, as the unit has to be inverted to dislodge any accumulated debris or silt. There is no true ‘inlet’ and ‘outlet’ with a totally chambered enclosed flow between the two, heating water simply enters the header at the top and exits further along its length. A great deal of the heating of the matrix is mainly by conduction in the heated water down through the matrix tubes beneath the header. 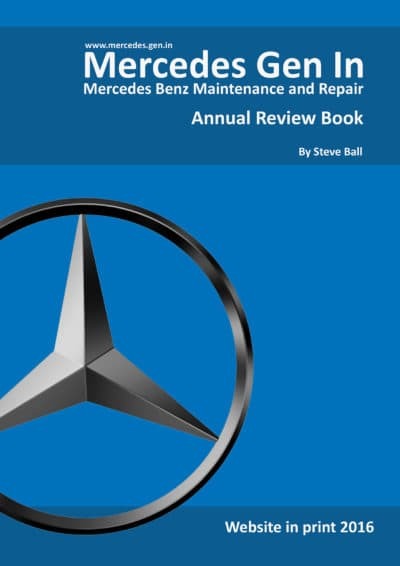 Install the newly flushed heater matrix, refill the coolant system and test your repair, the matrix should now be evenly very hot all over its surfaces and not just the top header section. If this was a success with no leaks, rebuild the heater box using small cut aluminium plates and pop rivets, making sure to close up the saw cuts as well as possible and restore as close as possible the original shape of the heater box. Apply a smear of silicone sealant to the saw cuts making good any air gaps that remain. Once the sealer has dried, rebuild the dashboard top section and replace the heater panel and front trim. Job done – all your handy-work is completely hidden under the top dash cover – nothing is visible to the naked eye, revealing anything other that you did not take out the complete dashboard to replace the matrix! Time taken 3 hours vs 8-10 hours labour – make your own mind up! I used a similar method to replace the heater matrix (core) on one of my B250 Full Sized Dodge vans. I’ve found that good quality aluminum tape works well to put the cut plastic heater box back together. As you mentioned, I also used a bit of silicone seal here and there to supplement the aluminum tape where needed. Yes some of that ducting aluminium tape is ‘super sticky’ and would bend/adapt quite well around details of a moulding I would imagine. You can get some pretty useful widths as well, in some case I have seen four inch wide, quite thick too. thanks for the tip. The aluminum tape does stick great. Generally I use shorter strips of tape across the joint to first stabilize the plastic parts. I follow those with longer strips over everything to help to seal the joint. Your use of pop rivets works well too, but I think that the tape is a bit easier. Thanks for the kind words, its appreciated! And from your picture it look you have 4 or 6 screws keeping that plastic top cover.Why you cut it then? 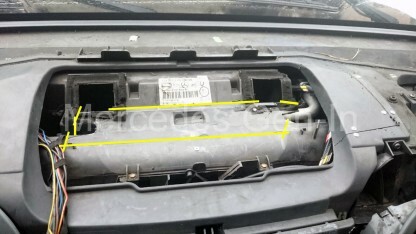 The heat exchanger air box ‘cover’ held by those four visible (there are others hidden from access) is much larger either side, the top disappears under each side section of the dash to a far greater extent than is available to access with just the centre section of dash removed. This saved me big time thank you. Note bolts retaining feed pipes are 7mm. My issue is that the two cables operating the vent control seem to be working fine but the vents are not working to coincide with the selector. One issue is when I have the A/C on I get good flow of cold air on passenger side but not on driver side. Is there some kind of vent motor control inside the box that the two cables control or do the cables just control doors in the box? The dealer wants to charge $3,500 to change the box out! It would be great if I could fix it your way. Do you have a schematic of the parts? My box is a Valeo T12 Tempmatic. Under the hood is a airway that gets from the fan across the width of the matrix airbox. Half of it can be removed and has spring steel clips on it, these often go missing and the case does not hold together, this allows air to escape on the side furthest from the fan unit. Because of the lack of flow across the matrix on the extreme end of the circuit it doesn’t blow warm, simply because the air prefers to escape into the engine bay as opposed to being forced through the air box and matrix. Tell tale is if you take a white cloth or tissue and white above the slower flow vents and you see soot on the cloth off the glass then this is a sure sign the engine bay is open to the matrix air box somewhere along that seal. Great shortcut, the only thing I’d add is that you save a lot of time if you use a hot melt glue gun to put the heater box back together again, no messing about with bits of ally and messy silicone!